"For almost twenty years I’ve had the pleasure of contracting for arboricultural services with Randy Harris and Artistry in Trees. "My experience with Artistry In Trees was amazing! This winter we had a large branch come down in our front yard, the branch was hanging over a power line! I called Randy at Artistry In Trees and he looked at the job that same day. The very next day he had a crew out to my house. They removed the branch without the need to call PG&E and have the power turned off. The best part was the honesty at the end of the job. Randy told me that the job took less time than he had estimated and that my bill would be adjusted accordingly. The crew cleaned up the yard and left it the way it looked before the branch fell. These guys are great!" 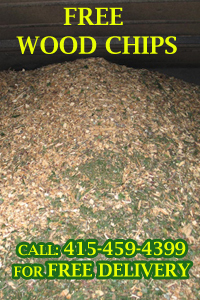 "We have been using the excellent tree service of Randy Harris: Artistry in Trees since 1995, even after we moved from Sausalito to San Anselmo, a few towns away. Randy is a fine fellow, easy to deal with and conducts his business in an orderly, reasoning manner. His crew is courteous and professional. We highly recommend his services." "Randy Harris and Artistry In Trees did a terrific job on our many oak, bay and cypress trees. He and his team are thoughtful, responsible and easy to work with. When we first met, Randy spent considerable time walking through my property assessing the trees' health and needs. He also was sensitive to my concern that the trees would be taken back too much and that I would lose privacy. He came up with a comprehensive plan for my tree care at a fair price. Randy and his team performed beautifully. I am thrilled with the job and will continue to use Artistry In Trees for my ongoing tree care." 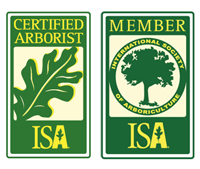 "I have been recommending Randy Harris and Artistry In Trees for what must be 20 years now and Artistry In Trees is the only company I recommend in Marin County." "Thanks for restoring our view Randy – We appreciate it! (And a special thanks for taking a Saturday morning to meet with the neighbor.)"